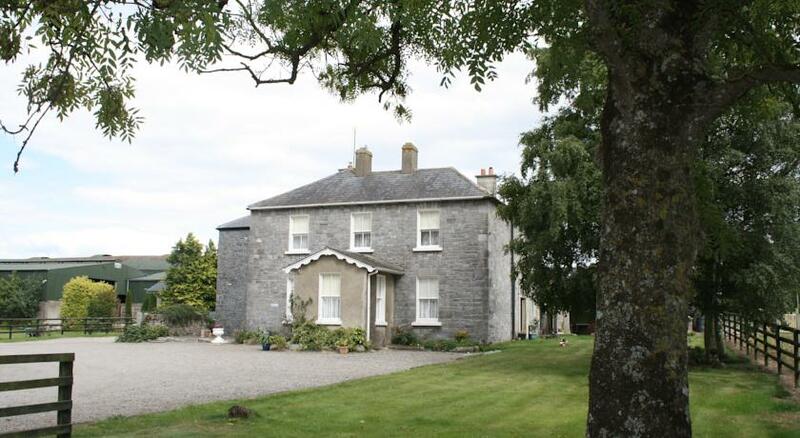 This lovely Georgian farmhouse is in the heart of the Kildare countryside, Ireland, near Athy and Newbridge, and just about an hour from Dublin city, and it has comfortable and clean B&B rooms surrounded by gardens, orchards and rolling green farmland. Each of their rooms comes with private bathroom, TV and WiFi as well as tea and coffee making facilities. They serve a good breakfast too with plenty of choice; full cooked Irish breakfast, omlettes, pancakes, scones, jams, cereals and fresh fruit. Much of which comes straight from their own farm and is organic where possible. They also serve some very good evening meals and snacks during the day.